According to Monday’s Wall Street Journal, major companies are finally altering their social media strategy away from capturing the most “likes.” The smart money is on moving to a model where they judge engagement as the real benefit of being involved with social media. For a local radio station, it is the same. The goal should not be getting the most people to like you. The true goal for radio is, and should always be, to validate those we most want to attract, engage them, and to be their authentic and local source for entertainment and companionship. 1. Develop a specific social media content strategy that has involvement and buy-in, from the top local management to the individuals responsible for daily execution. 2. A focus on visuals because we want to be a part of “The Visual Web.” Do you know why Google originally purchased YouTube? It’s because they were concerned that people would stop using words. Sounds crazy, right? It isn’t. It’s people. They might. People respond to light and visuals. So, be both. Often in your social media. 3. Do yourself a big favor and figure out how to produce small and intimate video because it will help you in the long run. Don’t say, “What would I use video for?” Radio is very entertaining and much of your social media should strive to be entertaining. Video is the future. Embrace it. You don’t have to be a famous movie director. Authentic, fun, entertaining, local. That’s it. 4. 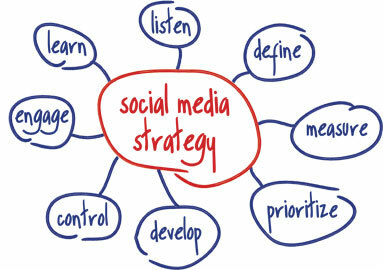 When you develop your social media content strategy, put some time and effort into what percentage of different types of content should appear weekly, as well as which channels you will want to use for your radio station, morning show, or sales department (yes, your sales department should have an effective social media strategy). 5. Spend some time trying to do the difficult. In other words, try to eliminate you from your posts. Make this about “them” (the people you most want to attract and grow a relationship with). If you work very hard to eliminate the word “I” or “we” or simply focus all content on “them,” you are much more likely to have a stronger level of success. 7. Be real, yo. Yes, it is true. As society pulls further and further away from the real in real life, people crave authenticity (even if they don’t know it). So, be real. Be vulnerable. Show yourself and be human. People respond well to this because…that’s what they are. When you do this in social media, people can be drawn directly to you. Just always be careful with your content to understand your target audience and know that whatever you post is public forever. So, make good judgments and make sure you are representing the company as the company would like to be represented. Social media offers a dynamic opportunity to reach new people, engage people who know of you, foster relationships with the people most likely to mean the most to your ratings, and stable revenue over the next 15-18 months and beyond. Why not invest time and energy into being the best in your market at social media and tying it directly with your on-air and local marketing. We’re 14 ½ years into the new century. The world is changing at a faster pace than it ever has. Learn the new, open yourself to new opportunities, and grow your career. You’ll become more valuable and that is worth doing anytime. Good luck. ← Local Radio: Who Do You Know?